Learn how to paint a portrait in oils with this free step by step video demonstration by Artist Irv Rudley. This is a two part video lesson that is approximately 15 minutes in length. Irv is working from a reference photo that you can see in the video above. Irv tilts the photo slightly to make the composition a bit more interesting. The first step is to paint in the background of the painting surrounding the portrait. He makes the value of this initial block in close to what it will be in the final picture. He then blocks in the hair and the shirt. At this stage, the color is not overly important. It can always be adjusted later on. Oil paint is such a forgiving medium. A thin wash of color diluted with turpentine is added to the face. He is painting from the darkest to the lightest values on the face. Again, he is not overly concerned with getting the color exact. Value is more important at this stage. As he paints he is careful to preserve his drawing lines while checking for accuracy against the photo. He adds more warmth to the nose, cheeks and ears. Using thicker paint and more medium he begins to rework the face adding more colors to enhance the painting. He then enhances the face even further. This time he is a bit more critical of the colors he uses. He is not afraid to use colors and values that aren’t in the photograph if he feels they will make a better painting. He keeps the shadows warmer than what he sees in the photo. He likes to work large areas at once so that the painting is completed at the same time. He isn’t concerned with any blending at this stage. He is just working in small shapes of flat color. He is constantly judging and adjusting values as he paints on an area. Irv gives a very good tip in this first video demonstration that will really help those of you who struggle with portraits. When observing your subject, do not think “I am painting an eye, or a nose, or an ear”. Instead look at things as if you are painting simple shapes of different value and color. Another great tip is to use a toothpick to add the highlight to the eye. In part 2 , Irv works on the hair again. He stresses the importance of not trying to paint in every single hair. Just look at the hair the same way you looked at the face, as a bunch of shapes with different colors and values. He works on his edges, softening some if wants them to appear further away and leaving some hard if he wants them to appear closer. Having variations in edges is very important in a painting. He now begins working on the mouth. It is important to paint the mouth as accurate as possible to get a good likeness. He then begins to work on the beard. He treats the beard, just like he does the hair. Just block in areas of light and dark value and then add a bit of fine detail. He then starts working on the hands, painting in the larger shapes first then working his way down to the smaller ones. He does his best to match the colors and values with the photograph. He keeps his colors in the hands on the warm side. He uses a cooler green color to indicate the shadows and indentations on the hands. He then starts to block in the blue shirt, mixing colors directly on the canvas. He then darkens the background to make the face and shirt appear to come forward more and stand out. He also adds more texture to the background to make it a little more interesting. 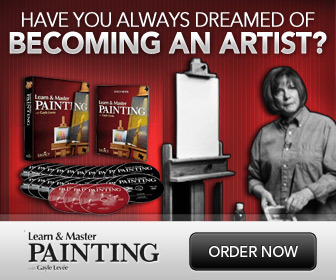 Excellent 2-part tutorial in oil portrait painting. Irv is truly gifted and his method has helped me tremendously in several of my projects. Thank you. If only Mr Rudley lived in my neck of the woods I would seek him out and sit under his masterful painting if that was at all possible. Ralph thank very much. I think she is amazing and would love to purchase her videos; however, as you know. There is nothing out there regarding reviews or comments about them. I am one of those people that like to see some feedback before I take the plung. Have a happy holiday! !